The expected in-stock date is Sunday, April 21. One of our best-loved gifts is now all dressed up to celebrate a birthday! 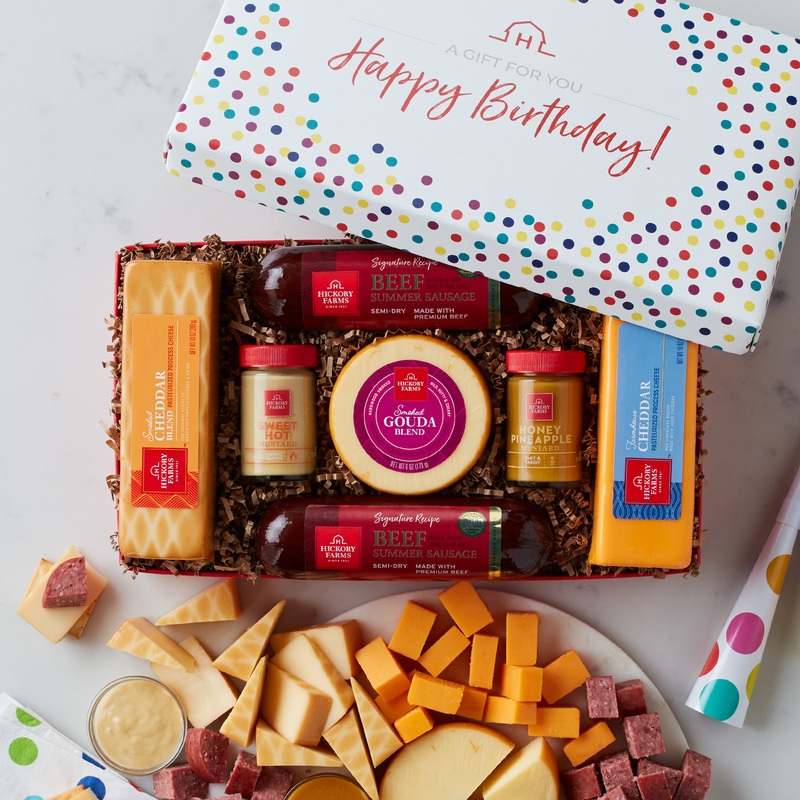 This birthday gift box is filled with Hickory Farms classics like Signature Beef Summer Sausage, Smoked and Farmhouse Cheddar, Smoked Gouda, and Sweet Hot and Honey Pineapple Mustards. 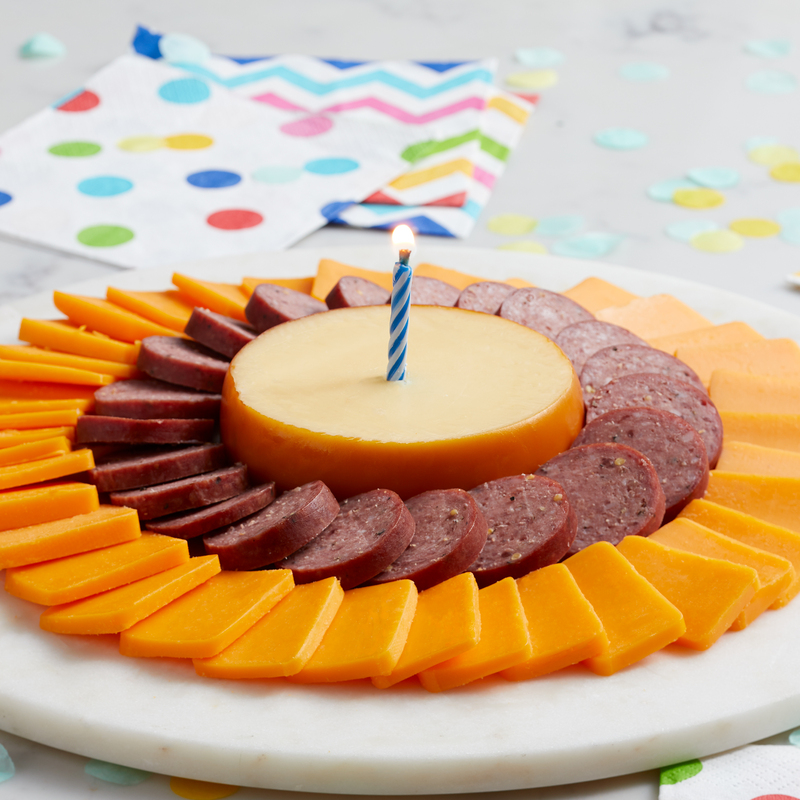 The colorful confetti lid tops this gift off with tons of birthday cheer. Send this birthday gift to someone special for their favorite treats delivered righ to their door!